By: Maggie E., Lea M., and Lime Green Giraffe Social Media Director Alyssa N.
When you start Girl Scouts or you are already participating in Girl Scouts, you have two options. You can choose a vest or a sash. You may wonder why you have to choose one instead of the other. The reason why is because this is where your patches will go. Your Girl Scout leader will tell you where you need to put the patches. 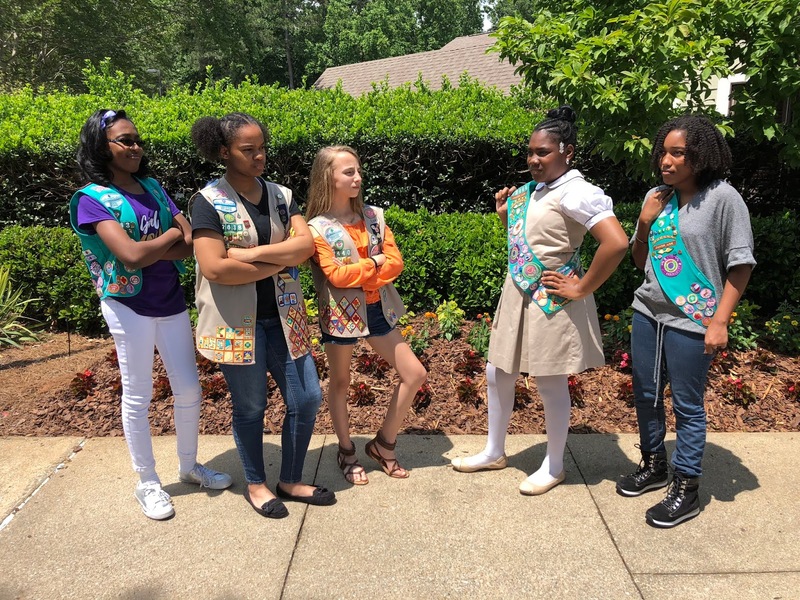 Typically, most Girl Scouts leaders will let the Girl Scouts decide whether they would like to get the sash or the vest. If you want to know which one to get, let’s review the pros and cons of having a vest versus having a sash. Many girls love vests because they have a LOT of space for badges. This means that if you have a lot of badges to iron on, you can iron them on and they won’t take up much space. Another reason girls love vests is because they are easy to put on. All you have to do is just put your arms through the two holes. With that, the vest is suitable for you and it fits you well. Finally, people really love vests because it is easier to put in a closet. You just put it on a hanger in a closet and it is easier to keep track of where it is. A negative/con about wearing a vest is if you have badges on the back of your vest and the badges are stuck on with glue, girls with long hair can get their hair stuck and it hurts. Sashes, on the other hand, go across your body but are less popular for some really good reasons. One reason sashes are not as popular is because they do not have room for badges and patches while vests do. Another reason is they cannot hang up in a closet so you need to find a safe place for them. Also, sashes can be hard to put on. Some people struggle putting on sashes and they prefer vests. Finally, another good reason they are not as popular is because they fall off your shoulder. Girls are constantly pushing it back up. Though sashes are not as popular as vests, at least the badges do not get stuck in your hair with the glue because of the sash. Now that you have seen both pros and cons of vests and sashes, what do you think? Do you prefer vests or sashes?